This is the 4th book in the Captain Kangaroo series. Available online and in all good book stores. Today's the big grand final match. Who'll be the winning side? Join Captain Kangaroo and all his mates for a ripper game of outback footy. 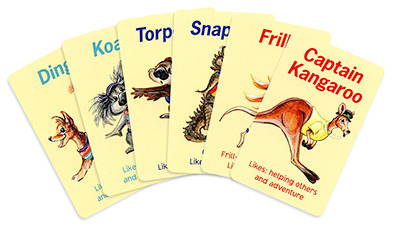 Paperback book comes with it's own set of footy swap cards.